Landing sales meetings from a cold email exchange takes persistence and a data-driven approach to crafting the right messages and responses. For example, did you know that simply personalizing cold emails can increase their open rates by as much as 100 percent? The more emails are being opened, the higher your chance landing a meeting from them. It’s not just personalization, though. Using data, you can tailor your cold emailing methods to optimize repetitive tasks and send more emails in less time. You can also use the time you save to focus on implementing strategies that further boost the quality of your emails and, therefore, your odds of landing a meeting from each one. If you send out 1,000 carbon-copied emails to random businesses, you shouldn’t be surprised when most go unopened. On average, canned business emails are opened only between 15 and 29 percent of the time, depending on the industry. Yet when Shane Snow (co-founder of Contently) and Jon Youshaei (founder of Every Vowel) sent 1,000 customized emails to the busiest people they could find, about 700 emails successfully went through. Of those, the open rate was a whopping 45 percent. It works in real-world applications, too. When Justin McGill, founder of LeadFuze, first started his digital marketing agency, he focused a majority of his lead-generation efforts on cold emailing. Within three years, his agency became a seven-figure business, and he credits those emails as the “one consistent lead generator” that helped the company get there. 1. Personalize messages, and prompt a response. 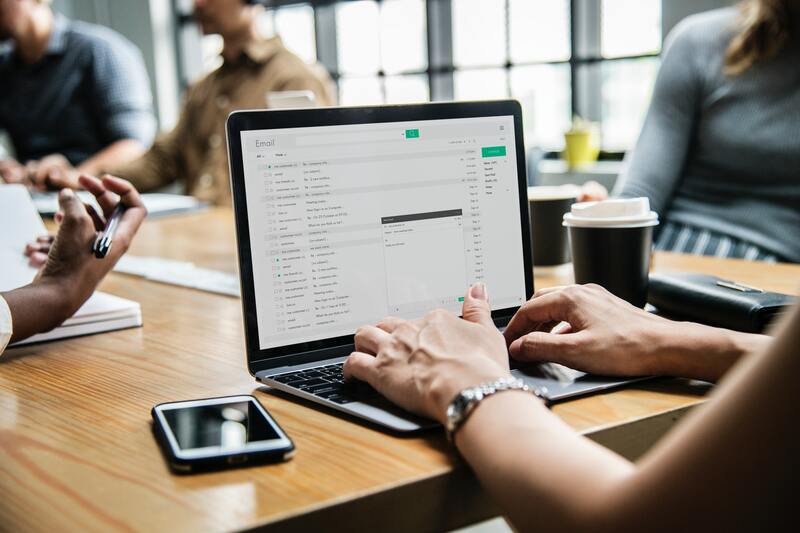 You might not know much about an emailing prospect beyond his or her name and company, and that’s OK. Personalized cold emails can simply mean greeting them by name in the subject line. In their experiment, Shane and Jon (successfully) used a variety of tailored subject lines to grab the attention of executives they knew were busy. Personalization makes it more likely that your prospects will open your emails, but to increase your response rate, prompt recipients for one at the end. Ask a question such as, “I’d like to schedule a call; would Friday work?” By prompting a specific answer, you make it easier for the recipient to respond, which takes you a step closer to landing a meeting. 2. Always respond, even if you’re referred. If the response you receive is to be referred to someone else, don’t take that as a loss. Follow through with the response — always. A referral might mean that the recipient just wants to get rid of you, but it can also mean that they actually can’t help you and that the other person can. Make it a rule to never let a lead go unanswered. It might be difficult to remind yourself to check back in when recipients or referrals are slow to respond, so use automated calendar reminders, tabbed email folders, and even written notes if necessary. Streamline the process by building customizable, semi-canned responses and one-sheeters that address common questions about costs, services, and more. 3. Collaborate and research to avoid a rut. Personalization and consistent responses are a great starting point for building a solid cold email campaign, but they aren’t end-all solutions to building your business. If you aren’t getting the responses you want or still have trouble turning them into face-to-face meetings, then collaborate with friends and bounce ideas off colleagues. To avoid a rut, continuously research the latest trends and studies in email and online marketing. You can even fine-tune your own data by asking existing clients what initially won their attention and prompted their responses, then comparing their answers to your current cold email campaign. There’s no secret formula to successful cold emailing. However, making it a data-driven process is an important part of it. Take note of what works and what doesn’t, and stay nimble enough to adapt your strategy as needed when results become stagnant. This article was originally shared via SalesandMarketing.com on 5/11/18. If you enjoyed this article but are looking for tactical ways to generate more qualified meetings for your business, check out our "Ultimate Guide to Sales Meetings" below.